Paladins finally play a home game this Saturday. Photo courtesy of Furman. After six consecutive road trips, the Furman football team finally returns to the friendly confines of Paladin Stadium Saturday afternoon. When the Paladins kick off against Western Carolina at 2:05 p.m., it will be the first home game since a 56-20 win over The Citadel last Nov. 11. Routing it's biggest rival in its last home game was sweet for Furman. On Saturday, any old kind of win will do. The Paladins will try to rebound from a horrific loss at ETSU last Saturday night in which they blew a 27-6 third quarter lead. 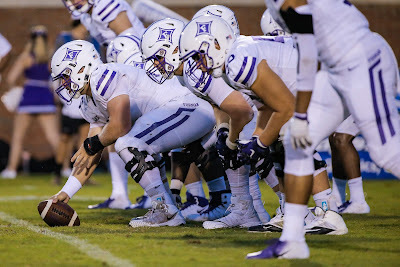 While there were a litany of problems that resulted in the 29-27 loss, there was one underlying issue: With a three-touchdown lead midway through the third quarter, the Paladins couldn't move the ball against a team it gained over 600 yards against last season. Furman had just seven yards of total offense after its touchdown drive that made it 27-6. The Paladins had an especially tough time running inside. Fullback Kealand Dirks, who rushed for 100 yards on 15 carries against ETSU last season, had 18 yards on seven attempts Saturday. Thirteen of those 18 yards came on Dirks' first two carries of the game, including an eight-yard touchdown to cap Furman's opening drive. "We're really searching offensively for an identity, something we can do to fit our personnel," Furman coach Clay Hendrix said after Saturday's game. "I wish we could just line up and do what we want to. We just aren't good enough to do that right now, especially up front." 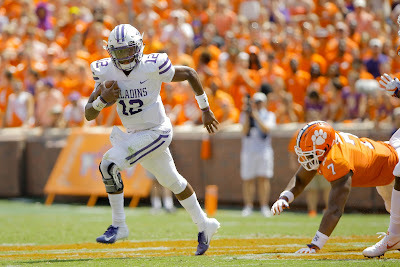 While many were wondering how Furman (0-3, 0-1 Southern Conference) would replace departed quarterback P.J. Blazejowski, just as big shoes to fill have been those of linemen Matt Schmidt and Terrell Bush. The Paladins offensive line is battling growing pains as last week's starting five included four sophomores and one junior. Cole Neely made his first start at center as Reed Kroeber switched back to his natural position of guard, marking the third time this season that an offensive lineman earned his first career start. After scoring 14 points over the first two weeks of the season, Furman had hoped to get things on track two weeks ago against a Colgate team it whipped last season. With two weeks off after the unexpected cancellation of the game due to weather concerns from Hurricane Florence, the Paladins got some things going last week with senior captain Harris Roberts back in at quarterback. Inconsistency plagued the Paladins however. "At times, we did some pretty good things but we just couldn't sustain," Hendrix said. "You can only do certain things for so long. At some point, you've got to block people and knock 'em around a little bit. "We're really searching offensively for an identity, something we can do to fit our personnel." While Western Carolina enters Saturday's game undefeated, Furman's offense figures to have a chance to gain some more confidence. The Paladins rushed for 363 yards in a pouring rainstorm at Cullowhee last season, as Furman defeated the then 18th-ranked Catamounts 28-6. Western Carolina is 3-0 overall and 1-0 in the SoCon after holding on for a 52-50 home win over VMI last Saturday. The Keydets, who scored a total of 68 points in eight SoCon games last season, dropped a two-point conversion that would've likely forced overtime. The Catamounts opened the season by rallying from a 26-19 fourth quarter deficit for a 33-26 win over Division II Newberry. Two weeks ago, WCU won 28-10 at Gardner-Webb. The Catamounts are led by dynamic junior quarterback Tyrie Adams, who ranks third in the SoCon with an average of 301 yards of total offense per game. Adams leads the league in rushing at 101.3 yards per game, while teammate Connell Young is second at 97 yards per game. Adams is averaging 6.6 yards per carry and has four rushing touchdowns. Adams is averaging 199.7 passing yards per game and has completed 61.4 percent of his passes. 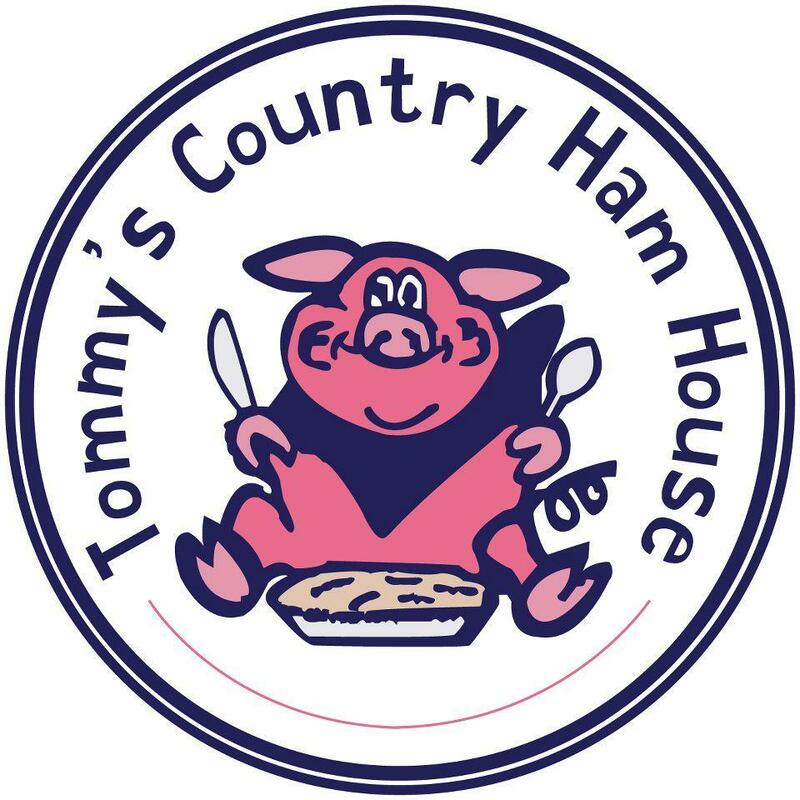 He's thrown five touchdowns and two interceptions. "We've had a good week of practice. We're excited to get to play and especially excited to get to play at home," Hendrix said at his weekly radio show Thursday. "I expect us to go play well. "We're struggling with the details of the things that make you into a really good football team. ... We're trying to make 'em grow up fast and that's a challenging thing." 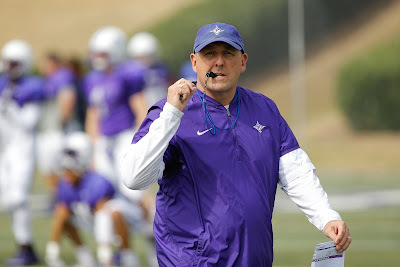 In the 21 months that Furman head coach Clay Hendrix has been back at his alma mater, one aspect of the job that has surprised him the most is the difficulty of building a season schedule. Now he's witnessing the difficulty of trying to find one opponent in less than a month. With the cancellation of last Saturday's scheduled home game against Colgate game due to the weather, Furman officials have been hard at work trying to find an opponent for the Paladins' scheduled open date of Oct. 6. One program that has come up as a possible replacement is Stetson, which had its game at Presbyterian moved to home last Saturday before ultimately being cancelled and also has an open date on Oct. 6. However, with Pioneer League road trips to San Diego, Calif. (San Diego) and Des Moines, Iowa (Drake) sandwiched around Oct. 6, the Hatters don't appear to be inclined to throw their hat in Furman's ring. As for any other possible local FCS opponents for Oct. 6, all MEAC teams already have games scheduled for that day. The lone Big South team idle is New Jersey-based Monmouth, while the lone OVC team off is Tennessee-Martin. Both those teams already have full schedules anyway making it unlikely that they'd give up their only open date of the season. As for potential local Division II opponents, there are no teams off Oct. 6 in the South Atlantic Conference or the Gulf South Conference. "We've had our share of adversity so far, so we will handle it and move on," Hendrix said. Quite a few schools in the Carolinas and Virginia avoided this hassle by moving up their games to days before Saturday. Evidently, that wasn't an option for Colgate which didn't want their players to miss classes. If Furman's doesn't find a home opponent for the open date, the Paladins will have just four regular season home games this season. That will be the fewest amount of home games in a season since the 1969 Paladins had just four games at Sirrine Stadium. The unexpected off week has given Furman a few extra days to prepare for its Southern Conference opener at ETSU this Saturday. 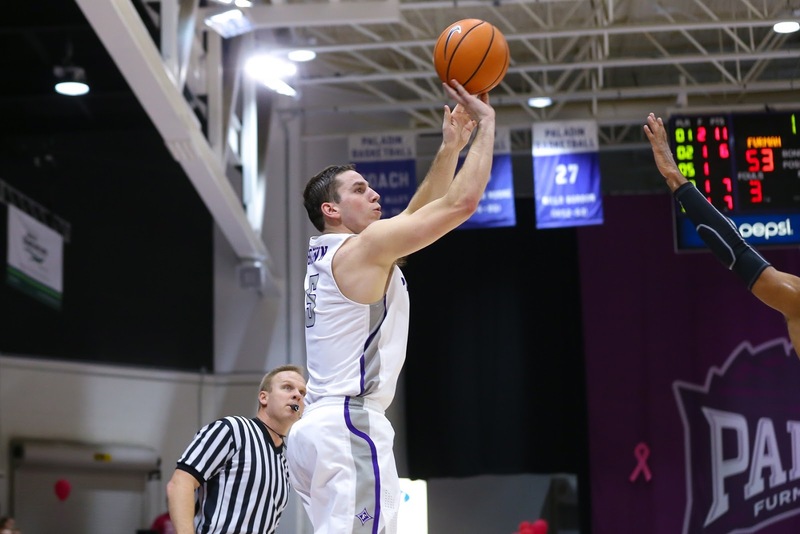 It will be the Paladins' sixth consecutive road game dating back to last season. That's the longest stretch of road games since Furman ended the 1981 season with three road trips and opened the 1982 season with three. 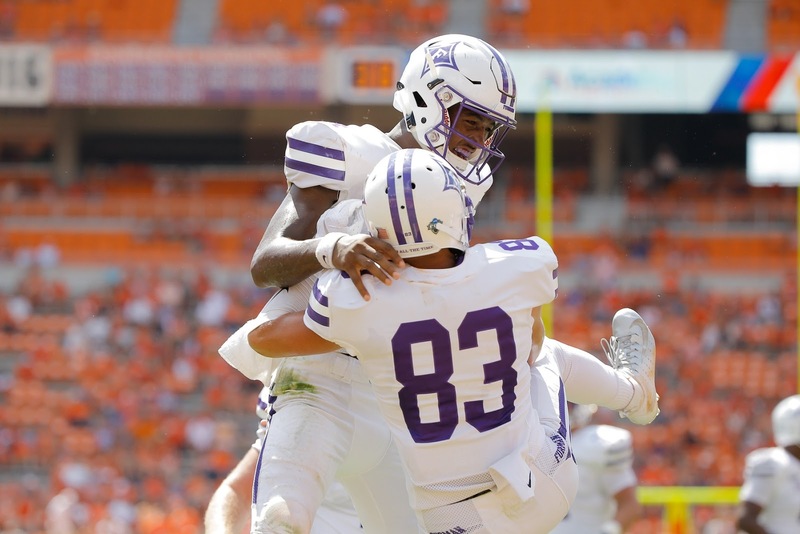 After scoring 14 points over the first two weeks of the season, the Paladins (0-2) will try to get on track against an ETSU team that they've scored 108 points combined the last two years against. "I think the biggest thing we're lacking right now is confidence," Hendrix said. "I think we're fairly talented. ... It's just a matter of figuring it out and getting everybody to play like they're capable of playing." Senior captains can sometimes be a remedy for confidence issues, and the Paladins may get one back Saturday. While Harris Roberts is still not 100 percent from a hand injury suffered in the preseason, he could return to the quarterback mix this week. Hendrix said that starting cornerback Quandarius Weems, who suffered a knee sprain at Elon, will likely return to action "in a couple of weeks." Linebacker Braden Gilby, who also was injured at Elon, is questionable for Saturday as is linebacker Davonta Porter (knee). Cornerback Darius Kearse has fully recovered from a hip injury. Porter and Kearse each missed the Elon game. A young offensive line has gotten a little younger as Hendrix confirmed that junior Jacob Conrad has quit the team. After making his ninth career start in the season opener at Clemson, Conrad didn't make the trip to Elon. Redshirt freshman Bo McKinney, of Travelers Rest, is the new starter at left guard. ELON, N.C. - It was a bad case of deja vu all over again for Furman early on at Elon Saturday night. Instead of another near-comeback like in last year's regular season meeting, Furman was dealt a beatdown. No. 15-ranked Elon piled up 448 yards of total offense in a 45-7 drubbing of the 21st-ranked Paladins at Rhodes Stadium. After the teams split of a pair of thrilling games last season, another thriller was anticipated Saturday. Instead, it was Furman's most lopsided loss to an FCS foe since a 45-0 home loss to Samford in 2014. It was the Paladins' worst road showing in FCS play since a 54-0 loss at Marshall in the 1996 Division I-AA playoffs. "First, I've got to give Elon a ton of credit. They played really well. 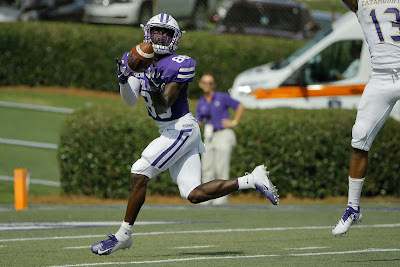 They just really outclassed us and outcoached us in everything," Furman coach Clay Hendrix said. "You've got to get everybody doing their job and right now ... not many times do we have everybody doing what they're supposed to do." In the second week of last season, Elon took advantage of two Furman turnovers to jump out to a 21-0 lead at Paladin Stadium. The same thing happened 364 days later at Elon Saturday. True freshman Darren Grainger earned the start at quarterback Saturday. On the second play of the game, he was hit from behind and fumbled. Elon's Greg Liggs Jr. scooped up the loose ball and ran 18 yards for a touchdown 53 seconds into the game. Furman had a 10-play drive on its ensuing possession - all on the ground - but it ended when a 48-yard field goal attempt by Grayson Atkins sailed wide. It took the Phoenix three plays to score on its first possession. Malcolm Summers capped it with a 54-yard touchdown run right up the gut. Later in the first quarter, redshirt freshman quarterback JeMar Lincoln came on and scrambled for a first down on 3rd-and-8 inside Elon's 35. However he was hammered on the play and fumbled, which the Phoenix recovered. Furman put together an 11-play drive to open the second quarter, driving to Elon's 20-yard line. A holding penalty doomed the drive and Grayson Atkins' 50-yard field goal attempt again had plenty of distance, but again missed wide. On Elon's ensuing possession, Davis Cheek completed four consecutive passes and De'Sean McNair capped the drive with a three-yard touchdown to make it 21-0. At this point in last season's game, Furman outscored the Phoenix 31-3 to take a 31-24 lead into the fourth quarter. Elon added another touchdown when 242-pound tight end Matt Foster took a screen pass from Cheek 30 yards for a touchdown with 1:40 left in the first half. Furman drove to the Elon 24-yard line on its ensuing possession, but Grainger's throw to the end zone on the half's final play was easily intercepted. "In the first half, we had 12 first downs and were moving the ball on offense but we just killed ourselves with mistakes and turnovers," Hendrix said. "Then we came out in the third quarter and couldn't get anything going." The Phoenix (1-1) didn't let up after halftime pushing the lead to 45-0 early in the fourth quarter. The Paladins (0-2) finally got on the scoreboard when Lincoln ran for a seven-yard touchdown with 6:20 left in the game. Elon finished with 275 yards rushing and 173 yards through the air on 12-of-16 passing. Furman had 195 yards rushing, led by Kealand Dirks' 72-yard effort, The Paladins, who didn't have a pass completion until just under six minutes were left in the second quarter, finished with just 67 yards passing. Obviously, the inability to pass consistently hampered any comeback attempt as Furman is 0-2 to start a season for the sixth time in the last seven years. "At the end of the day, you've got to make blocks offensively and defensively, you've got to get off blocks. We couldn't get off blocks and so many times we couldn't get off the field on third down," Hendrix said. "There's plenty of blame to go around. "Everything we want to accomplish this season is out there. We're sitting exactly where we were a year ago at 0-2 and we haven't played very well. I believe in this group. ... We've just got to quit making dumb, immature mistakes and we've got to coach better." When Furman travels to Elon Saturday, a freshman is expected to earn his first career start for the Paladins. As to who that will exactly be is still up in the air. Redshirt freshman JeMar Lincoln and true freshman Darren Grainger are listed as the starter with the "or" designation between them on this week's depth chart. Senior captain Harris Roberts, who earned his first career start in last Saturday's season opener at Clemson, is listed third and freshman Hamp Sisson fourth. Roberts made the start last Saturday, but it was clear he was not fully recovered from a hand injury suffered in the preseason. After three handoffs on Furman's opening possession, Roberts left and Lincoln and Grainger rotated possessions for the rest of the game. 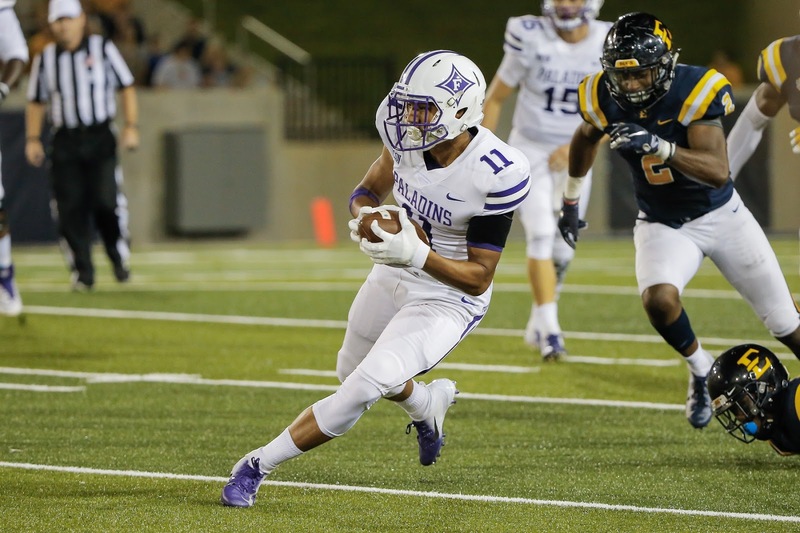 "We'd made the decision to play the other two guys most of the game because Harris wasn't 100 percent," Furman coach Clay Hendrix said after Saturday's game. "I'm really proud of those two freshman quarterbacks. ... They made some mistakes, but I don't know if they'll ever be in a tougher situation. They didn't get a lot of help. "Right now, we've got two (healthy) guys that we feel good about. We've just got to find out what they can execute. ... I'm fired up about them." Using Clemson as a measuring stick for two quarterbacks who'd never previously taken a college snap probably isn't the most fair idea. Both Lincoln and Grainger had some good moments Saturday though. On Lincoln's third play, he converted a 3rd-and-13 with a 20-yard run. 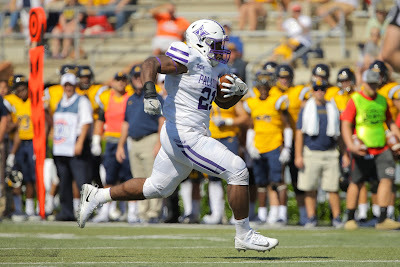 That was the second-longest run of the day for the Paladins behind Deon Sanders' 45-yard scamper. 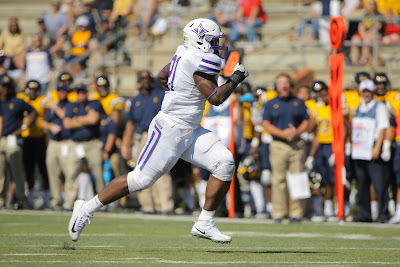 As a team, Furman rushed for 117 yards Saturday - including a 30-yard loss on a high snap. While it's nothing to celebrate, that total is higher than the 114.9 average rushing yards per game Clemson allowed last season. After fumbling in the red zone on a fourth quarter drive, Grainger responded on the next drive with Furman's lone score as he hit Ryan DeLuca on a 16-yard touchdown with 1:18 left to play. "I told coach I was going to make up for (the fumble)," Grainger said afterwards. "We had a wide open man and I just gave him the ball." Grainger was a wide receiver at Conway High before switching to quarterback last season. Going from playing in front of high school crowds last year to making his collegiate debut in front of 80,000 fans was quite an experience. "It was a great experience to be a part of," Grainger said. "They gave me an opportunity to play and I just tried to make the best of it." Outside of one errant punt, sophomore kicker Grayson Atkins was solid in his expanded role of punting and handling kickoffs. Atkins opened the game by booting the kickoff through the back of the end zone for a touchback. His lone other kickoff also reached the end zone. Atkins averaged 42.1 yards on eight punts with a long of 53. Three of his punts were downed or went out of bounds at the Clemson 5-, 11- and 8-yard line, respectively. "He's a veteran now, so I expect him to do well," Hendrix said. "It was his first time punting though and he did well." When Furman plays at Elon Saturday at 6 p.m., it will be the third matchup between the schools in the past year. Based on the first two games, Saturday could provide fans with another thriller. Last Sept. 9 at Paladin Stadium, a late field goal helped the Phoenix pull out a 34-31 win. 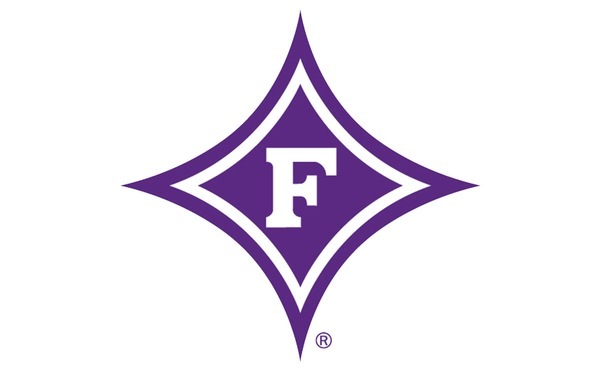 In addition to the sting of losing in heartbreaking fashion, Furman was also faced with losing at home to a team that had gone 2-9 in 2016. As it turns out, last year's regular season meeting was a pairing of two teams both in store for turnaround seasons. Furman avenged that loss in the opening round of the FCS playoffs as the Paladins held on for a 28-27 win at Elon. Elon opened this season with a 34-14 loss at FBS member South Florida last Saturday. The Phoenix, who return 18 starters this season, are ranked No. 15 in both the STATS and Coaches' FCS polls. Furman is No. 21 in the STATS poll, and No. 25 in the Coaches. CLEMSON - Clemson looked every bit the part of the FBS' No. 2-ranked team in the country Saturday. The Tigers piled up 531 yards of total offense (277 passing, 254 rushing) to cruise to a 48-7 win over Furman in the 2018 season opener at Death Valley. Furman was holding its own for much of the first half defensively. The Paladins trailed 13-0 with less than three minutes to play in the half before the levee broke. Clemson scored two touchdowns in a span of 1:51 to take a 27-0 lead into halftime. The Tigers then added two more third quarter touchdowns to remove any doubt. "They (Clemson) were as advertised, which didn't surprise me. I knew it was going to be a challenge," Furman coach Clay Hendrix said. "Today, I think we were a little bit of a master of nothing. I don't know what we did well." Clemson's opening drive ended on a fourth down incompletion at the Furman 44-yard line. The Paladins could not take advantage of the good field position, which was a sign of things to come. Furman had eight drives reach at least its own 45-yard line, but only got one score with 1:18 left in the game. As loud as the crowd of 80,048 was at the opening kickoff, it was even louder when Clemson's defense took the field for the first time. 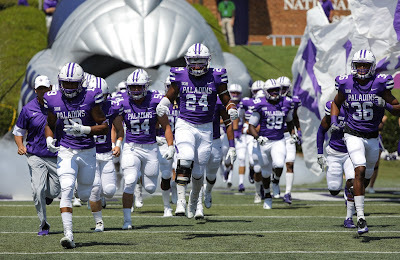 Before Furman's second offensive play, the Paladins - who committed an FCS-best 3.15 penalties per game last season - were flagged for a false start. "A couple of times, we had decent field position. We just couldn't do anything with it. That's how it is against them," Hendrix said. "I knew the noise was going to be a factor." Clemson got on the board on its second possession when Kelly Bryant threw a 40-yard touchdown pass to Amari Rodgers. Furman drove to Clemson's 43 on its next drive, but a high snap on third down resulted in a 28-yard loss. Grayson Atkins got off a beautiful, high 53-yard punt, but Rodgers returned it 62 yards to the the Paladins' 20. Furman's defense stood tall though. Elijah McKoy just missed a diving interception on third down before Clemson settled for a 35-yard field goal by Greg Huegel. Furman drove to the Clemson 38 on its next possession, but redshirt freshman quarterback JeMar Lincoln was stopped for no gain on a 4th-and-1 option play. After a Clemson field goal pushed the lead to 13-0, the Paladins next drive stalled at midfield. Atkins had a great 42-yard punt that rolled out of bounds at the Clemson five-yard line. It appeared that Furman had forced a three-and-out at the 10. However, a replay review overturned what was previously ruled an incompletion giving the Tigers a first down. Seven plays later, Clemson freshman Trevor Lawrence first a six-yard touchdown pass to Diondre Overton with 2:54 left in the half. A personal foul on the ensuing kickoff forced Furman to start at its own 13. After a short punt, Clemson's next possession began at the Paladins' 38-yard line. Five plays later, Furman brought a blitz and Clemson running back Travis Etienne hit the vacated hole for a seven-yard touchdown with 1:03 left. That helped the Tigers take a 27-0 lead into halftime. "I thought we were going to get the ball back at midfield and at worst be down 13, and the we go down 27," Hendrix said. "We've got to respond better. We've gave up a long ball, three-and-outted on offense and gave them another one." In the second half, Clemson had three touchdowns over a stretch of six offensive plays to put the game away. Midway through the fourth quarter, Furman drove from its own 20 into the Clemson red zone for the first time thanks in large part to a 45-yard run by Deon Sanders. The drive ended from true freshman quarterback Darren Grainger was stripped of the ball and Clemson recovered at the six-yard line. Furman's next drive was capped when Grainger hit Ryan DeLuca on a 16-yard touchdown. That helped the Paladins avoid their most lopsided season-opening loss since a 51-7 setback at Georgia Tech in 1995. With its FBS opponent behind them - and $360,000 payday secured, Furman shifts its attention to FCS play starting with a road trip to Elon next Saturday at 6 p.m.
"We're out of school on Monday, so we will have a little more time than usual. We'll watch the tape ... make adjustments, maybe make some personnel decisions and start formulating the game plan for Elon," Hendrix said. "I like this group and how they work. I think we prepared well. It's just kind of hard to put them in that situation today."